If you love golf and enjoy discovering destinations slightly off the beaten path, you'll be as excited as we are about this fully escorted small group trip to Argentina. Experience the best of Buenos Aires, enjoy a luxury ranch stay in provincial Cordoba and explore the remote Patagonian Lakes District. Every aspect of this tailored trip has been arranged: from a total of seven rounds on some of Argentina’s best courses; to guided sight-seeing excursions and experiences, internal flights, luxury accommodation, exclusive access to the Greg Norman designed El Desafio course; and so much more. Couples, solo travellers, friends, golfers and non-golfers are all welcome to experience this amazing destination. Upgrade to Studio Lake View Room - Moreno Wing at Llao Llao Resort US$400 per person sharing. We are met on arrival at Buenos Aires Airport for our transfer to the five star Sofitel Buenos Aires Recoleta, home for four nights. This upscale hotel highlights the best of European heritage, inspired by its Argentine roots. Our welcome dinner is at one of the best local steakhouses, within walking distance of the hotel. After breakfast, we take a private tour of this sophisticated metropolis which comprises beautiful walks, avenues, parks, amazing classical buildings, museums, cafes and churches gathered in 26 districts, each with their distinct personalities. The northern quarter resembles the elegant areas of Paris; May Avenue and its numerous cafes revive the flavour of Madrid’s Grand Via; and Naples is reflected in the noisy and colourful La Boca quarter. In the evening guests enjoy a tango show with dinner. The tango, synonymous with Buenos Aires, has come a long way from its early 20th century beginnings in the marginal neighbourhood of La Boca. Learn the steps in a pre-dinner tango lesson. After breakfast, transfer to Buenos Aires Golf Club for round 1 of the competition. 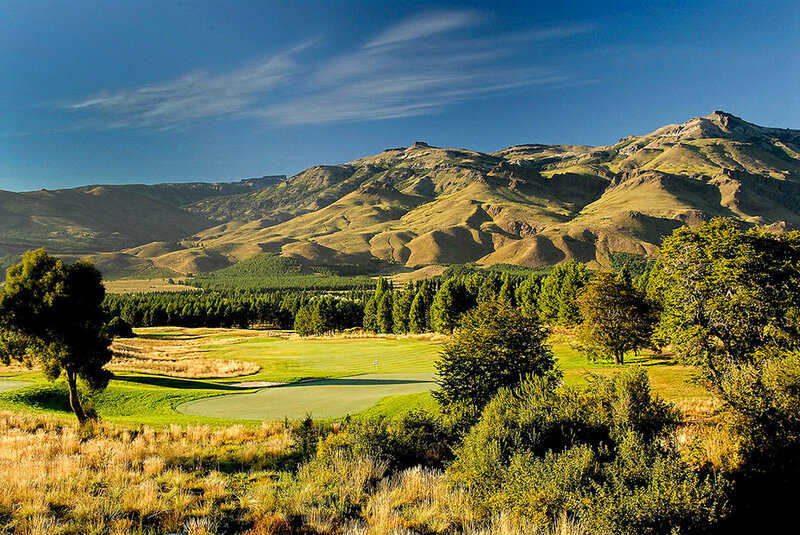 This 27 hole Robert von Hagge-designed course characterised by steep hills, pampas grass, undulating greens and plenty of water hazards, is ranked #2 in Argentina and 79th in the “Best 100 Golf Courses Outside the US”. Return to the hotel in the afternoon. Evening at leisure. An early start today as we depart Buenos Aires on a domestic flight for Cordoba, Argentina’s second largest city. 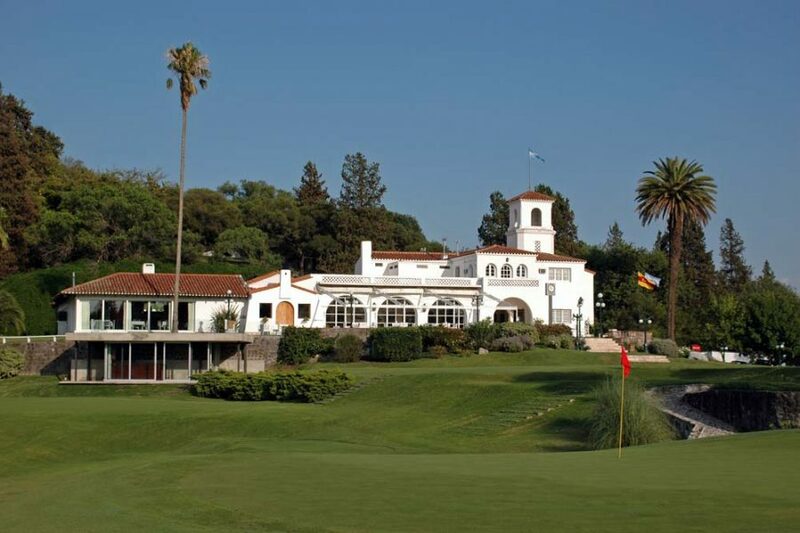 On arrival, we transfer to Villa Allende for Round 2 of the competition at Cordoba Golf Club. Ranked as one of the best courses in the country, it hosts the premier Argentine tournaments, and is the home club of PGA players Eduardo Romero and Angel Cabrera. Warm up at the excellent practise facilities before tee-off at about noon. After golf we transfer to the premium 5* Estancia La Paz Hotel, where history meets nature. The property dates back to the 19th century and was remodelled by Julio Argentino Roca, twice president of Argentina, to be his summer residence. The attention to detail coupled with a warm and personal service, are part of the philosophy of Estancia La Paz Hotel, a comfortable and intimate place that lives up to its history. Dinner tonight is a barbecue at the Polo Field. Round 3 of golf starts after breakfast at Pueblo La Paz Golf Club. 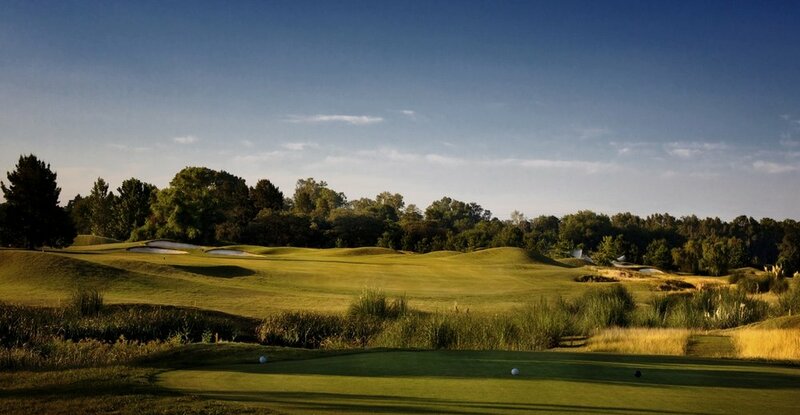 The course designed by Frankie Bunge is routed through ancient parkland, along the Ascochinga River, up and over the Cordoba Hills and down into the valleys, and is immaculately maintained. Ten of the holes feature water, the greens are large and tilt from the line of play, making the placement of approach shots vital for easier putting. Afternoon at leisure to enjoy the ranch’s facilities. Gourmet dinner tonight including wine. Pueblo Estancia La Paz Golf, Córdoba, Argentina. 2016. Enjoy the morning at the ranch before we transfer to the airport for an afternoon flight to Bariloche in the Lake District of Patagonia. 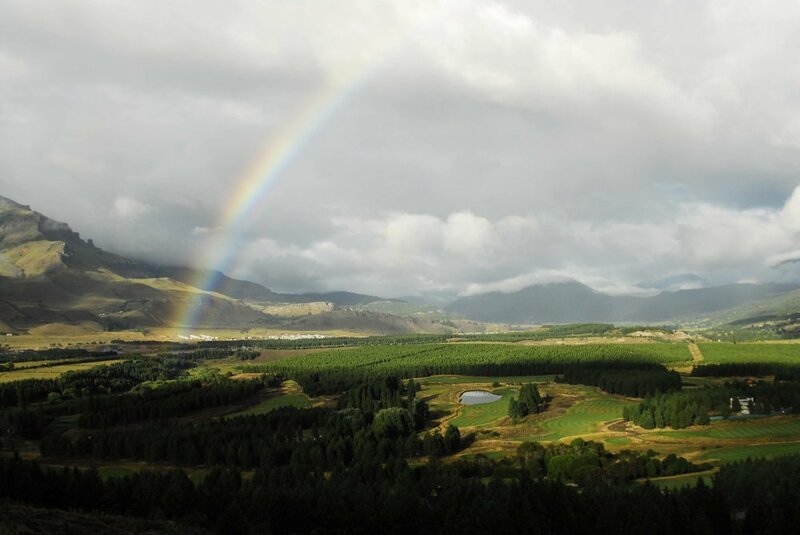 The unspoiled natural beauty of this remote part of the world is astonishing. Shimmering blue lakes and rugged peaks only a stone’s throw from the wide expanse of the Patagonian Steppe. We transfer to the legendary Llao Llao Resort, Golf-Spa, a 5* hotel and member of the Leading Hotels of the World, located amidst the stunning scenery of Patagonia’s Nahuel Huapi National Park. Accommodation: Llao Llao Resort Golf-Spa (5 * Resort) Lake View Rooms in Bustillo Wing. Optional Upgrade to Lake View Studio Moreno Wing available. The granite peaks and mystical forests of the Andes in western Patagonia cradle one of the world’s most beautiful courses - Llao Llao Golf Resort & Spa in Bariloche. Round 4 of the golf competition starts here after breakfast. Equal parts beauty and challenge, the Llao Llao course is surrounded by pristine cobalt blue lakes, dense forests with a background of sheer granite peaks crowned with glistening snow. The asymmetric fairways, imposing greens and bunkers are perfectly integrated into the surrounding environment. The Par 3 18th hole, is ranked among the 500 best holes in the world. 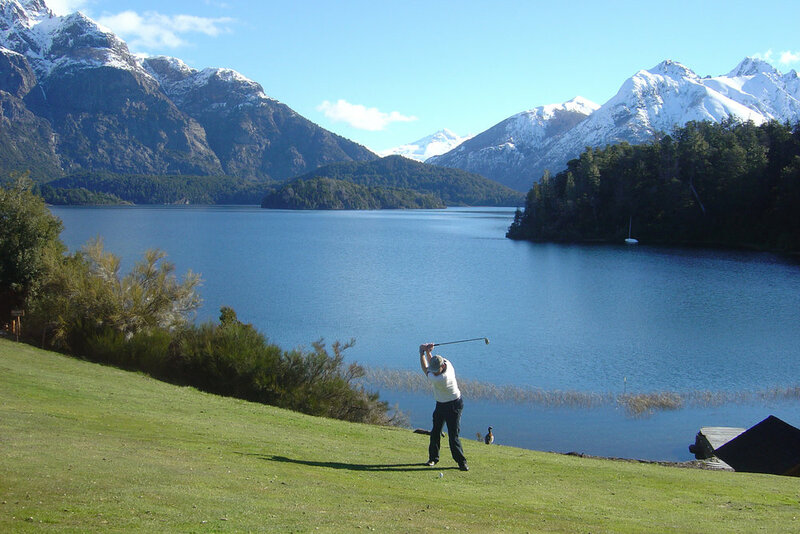 Fly it tee-to-green or go snorkelling for your ball in Lake Nahuel Huapi! Afternoon at leisure to enjoy the resort’s facilities. Play the best course in Patagonia today - Arelauquen Golf and Country Club. Surrounded by national parks and immersed in a setting where the air is pure, and the summit of Mount Catedral, Mount Otto and the deep blue of Lake Gutiérrez are in view throughout the game. On our trip back to the hotel after golf, we stop at a lookout to take in the superb view. We depart by land after breakfast along National Route 40 to Villa La Angostura, located halfway between Bariloche and San Martin de los Andes. La Angostura gets its name, which means narrow, from the slim neck of land connecting the village to the Quetrihué Peninsula, that constitutes Los Arrayanes National Park. The park, was established to protect a 50-acre grove of rare arrayán trees, is accessible only on foot, by bicycle, or by boat. We board a private boat for a day navigating the pristine waters of Lake Nahuel Huapi exploring its secluded bays, islands and impressive deep blue hues before disembarking at Puerto Anchorena, to explore the various marked trails in the National Park on foot. Enjoy a gourmet lunch on board. We continue by land to San Martin de los Andes. The route is known as the ‘Camino de los 7 Lagos’ - the 7 Lakes Route. Take in the dramatic scenery of these phenomenal lakes. The seven lakes are: Nahuel Haupi, Correntosa, Ruca Malen, Portezuelo, Villarino, Falkner and Hermoso. Bring your camera and feast on the breath-taking photo opportunities. San Martin de los Andes is located in a natural basin, almost hidden in an amphitheatre in the mountains. Check in to Loi Suites Chapelco Golf Resort in the evening. After breakfast, it’s time for Round 6 of the competition at Chapelco Golf Club, one of Argentina’s top courses and the first South American course co-designed by Jack Nicklaus and Jack Nicklaus II. The Nicklaus’ philosophy is to preserve the natural features of the land by letting the surroundings shape the holes to for the existing terrain. El Desafio Golf Course, designed by Greg Norman opened in 2015 as part of a private golf course. It currently comprises 9 holes with the most amazing views. Set high in the mountains it plays along and across deep canyons and pine forests, with no two holes playing in the same direction. This is the most most unique course in Argentina and it will not disappoint. Exclusive access has been arranged by private arrangement. Return to the resort and enjoy the rest of the day at leisure. Alternatively, take up the option of a half day fishing expedition. Patagonia is renowned not only for the landscape but also for the quality of the fishing. This optional half day tour includes an outdoor barbecue on the banks of a Patagonian river. After a taste of Argentine beef, enjoy a Fly Fishing Clinic. Your guides prepare the rods and launch the boat into the water. Fish as you float down the river. Beginners will learn the first steps, catch trout and enjoy the scenery. Advanced and expert fishers can choose fishing for quantity or quality trout and possibly tweak your technique under the watchful eye of the experienced fishing guide. Optional Half Day Fishing Expedition including an outdoor barbecue lunch. Morning a leisure before a noon transfer to the airport, for a 2pm flight to Buenos Aires. In the evening, transfer to the Puerto Madero district for a Farewell Dinner at Cabana Las Lilas. Celebrate the winner of the inaugural On The Tee Argentina Trophy. Meals: Breakfast and Farewell Dinner including wine. After breakfast, we transfer to the International Airport and bid Argentina farewell. Depart with happy memories, stacks of photos, and new golfing friends. Thank you for your interest in our trip to Argentina, feel free to get in touch with any questions. This tour is based upon a minimum number of 8 golfing participants, and is capped at 16. A deposit of AU$2,000 holds your place on this trip. This itinerary is accurate at the time of compilation. Details may change due to circumstances outside our control, but travellers will be notified of any changes as soon as they are confirmed. The optional pre-tour to Iguazu Falls is not escorted by On The Tee. All ground arrangments, meet and greets, guides and transfers have been arranged by our local operator in Argentina. Please note that a visa is required for Australians visiting Brazil. To secure your place, please complete the booking form and return to On The Tee. An EARLY BIRD OFFER OF A US$300 DISCOUNT APPLIES TO BOOKINGS RECEIVED BY 30 APRIL 2019. Ria Livanas - ria@onthetee.com.au or call 02 9844 5458.